At the mesoclimate of Domokos, in Vardali region are located our vineyards, below the mountain of Kassidiaris and beside the ancient castle Proernas, which Stravon (Greek, geographer, philosopher and historian) lists as one of Achilles kingdom [θ 434]. At around 1920, begins the relationship between the Ganis family and wine, when Kostas Ganis plants the first small-sized goblet-trained vineyard with local varieties. From that time and until 1940, he manages to make his wine known in all the surrounding regions. Later on, in 1967,Konstantinos takes over, and plantsa small vineyard 1-hectare at an altitude of 160m, with local varieties. In early 2004, Vaios, representing the fourth generation of the family, following his own research and in collaboration with agronomists –viticulturists , extirpates the old vineyard and replacesit with a new cordon-trained one, planting it with foreign and Greek noble varieties. At the same time, he proceeds with new plantings covering an area of 2.3 hectares, at a 160m altitude, using new cultivating methods, and achieving the optimum adaptationof the varieties to the mesoclimate of the region. All these interventions were made based on strict technical and scientific criteria, after having acquired full knowledge of the terroir, the "vine-country" in its Greek translation, and of the estates, in order to arrive at the best possible wine production. The Ganis vineyards are under organic management and are certified by DIO. The winery is fully equipped with stainless steel fermentation vats, ranging between 10HL and 100HL, with a temperature control and an overall capacity of 60 tons of grapes. It includes the necessary mechanical equipment, such as a pneumatic press and cooling-heating tanks for white and red vinification. 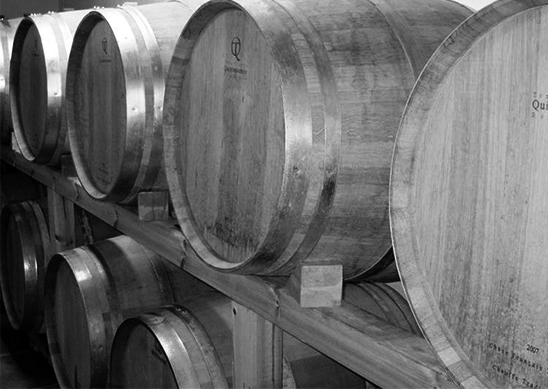 The ventilated, air-conditioned storeroomon ground level holds ageing (French and American oak) and maturation barrels, with a capacity of 225l. There is also the bottling and storage area for ageing wines, as well as the final packaging section. © 2019 ΑΜΠΕΛΩΝΕΣ ΓΚΑΝΗ. All Rights Reserved.